See what&apos;s up at our twice-monthly-ish Sunday meetings where we&apos;ll explore our faith, learn how to talk to each other about what really matters, and dive into what it means to YOU to be a young Catholic! Our curriculum is loosely based on Dynamic Catholic&apos;s Decision Point program. Each Sunday we have a Confirmation session, the 5:00pm Mass will be a Youth Mass, where our youth and teens will lead worship with their music, ministry of the Word, and hospitality. When we meet, about 20% of our classroom time will be given to your "Faith In Action Project: Where Passion, Vocation, and Need Meet." This is a project to get you thinking about what your mission is in the world, what God created you for - by looking at the intersection of what you love (passion), what God gifted you to be good at (vocation), and what you see the world is missing (need). Get some inspiration at 20time.org, or listen to these students&apos; WIDE range of 20Time projects - using the same format as our Faith in Action Projects - from super involved to pretty simple. 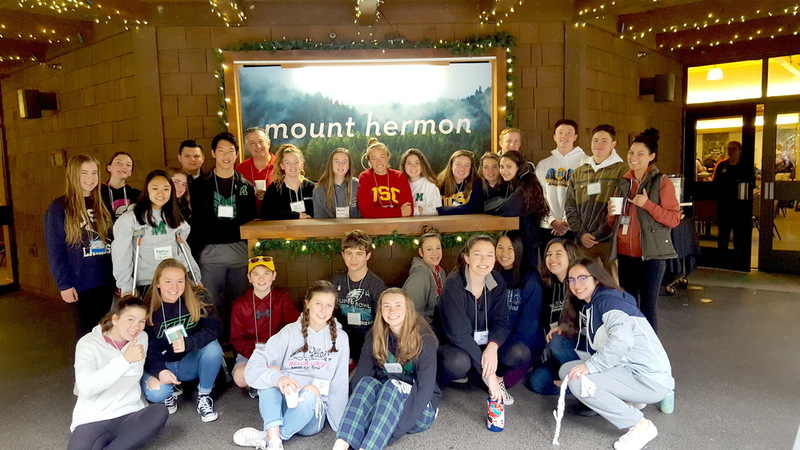 Each year we have at least two overnight retreat opportunities: the Confirmation Retreat and the Life in Christ Retreat with St. Charles Borromeo. Other themed retreats come up throughout the year that can also count as a Confirmation retreat if neither of these works - the Steubenville Youth Conference in summer is one of them. These weekends are a great way to disconnect from the craziness of life, spend some time with your friends, and learn how to hang out with Christ. They&apos;re totally awesome! The C1 and C2 Retreats are included in your YM Registration fees. Keep an eye out to make sure you take advantage of all the opportunities you can! C1/C2 Retreat: "Gifted and Called"
Each year before the Sacrament of Confirmation is celebrated, those receiving the Sacrament gather with their sponsors in the Parish Hall for an evening retreat. Together, they&apos;re led through guided reflections on the readings, symbols, gestures, and prayers of the Rite of Confirmation. This event also includes time for relaxed fellowship with dinner together, as well as a rehearsal of the Confirmation Mass in the Church so everyone knows "who does what, and stands where, when"! About once a month we&apos;ll offer a service opportunity for you to experience the different ways of serving God. We might feed the hungry, play catch with the elderly, or restore native habitats - it just depends on what options arise!